What do you do when you have a birthday boy who is obsessed with the movie Marie Antoinette by Sofia Coppola? You spend the day at Versailles. 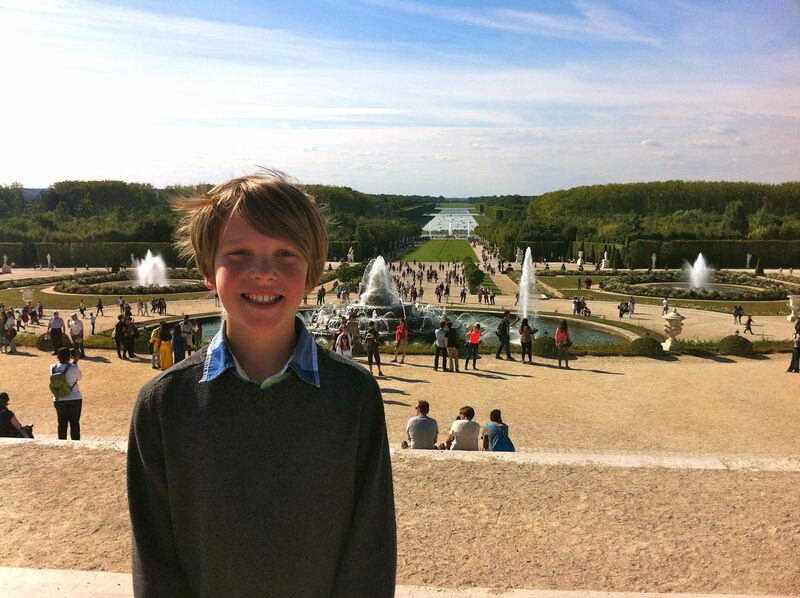 Since finding out he’d be spending his birthday in Paris, Pudge has begged us to celebrate at Versailles and Bug and I couldn’t refuse. Part fun day out, part history lesson, it was the perfect type of home school experience. 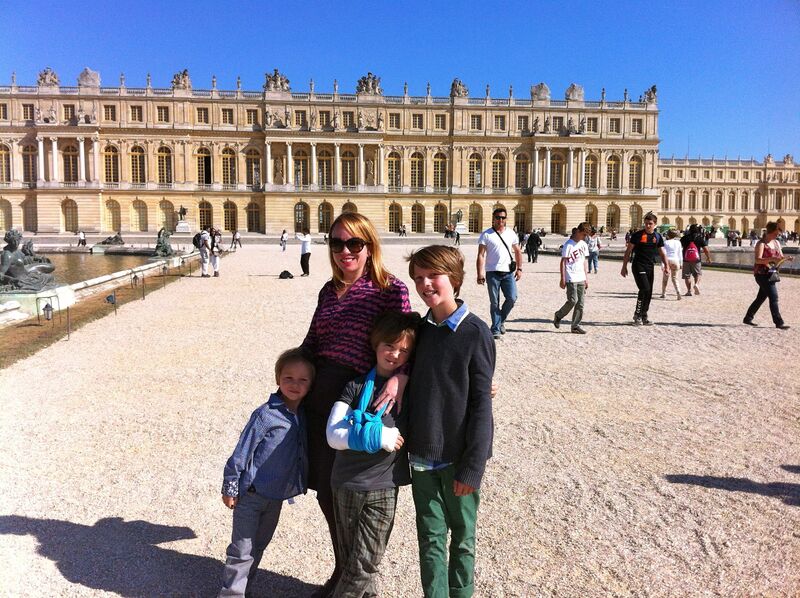 The front of Versailles. 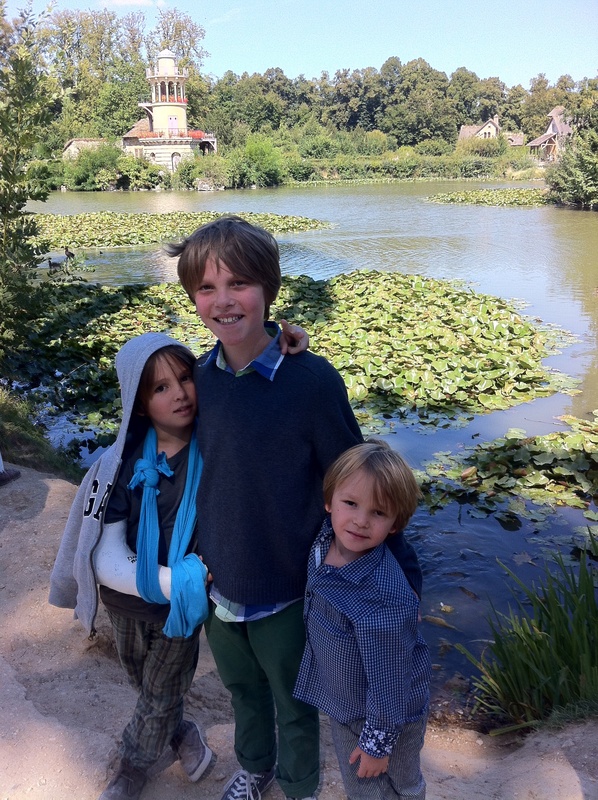 Or as my boys informed me, where Marie Antoinette arrived from Austria. The first thing The Fox did was run up and touch the “gold” gates. The entire train ride, he couldn’t stop telling us about all the gold and marble and “fancy” things he wanted to see. He was a little disappointed that the gold appeared painted and not real, but he still thought it was beautiful none-the-less. You will linger forever if it makes them that happy. 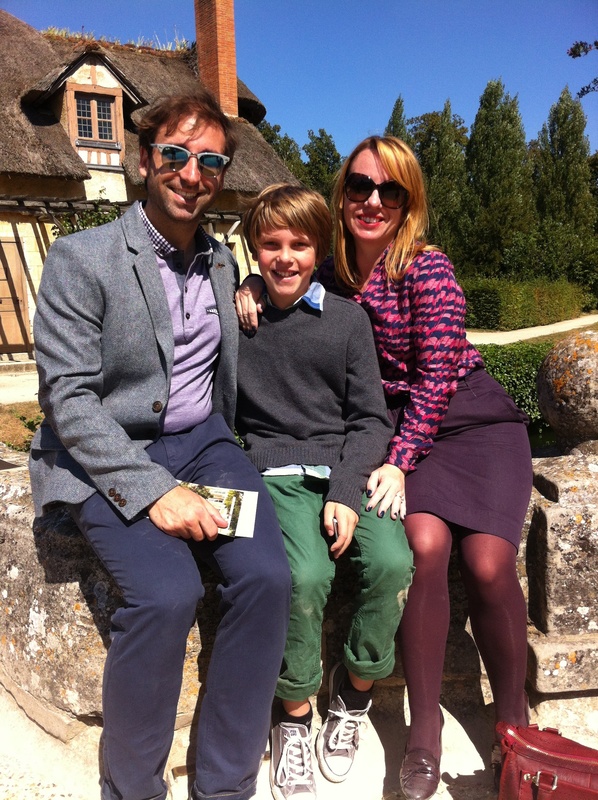 While the Chateau didn’t wow me, the gardens, the Petit Trinon and Marie Antoinette’s Hamlet did. (Side note: there is a house in San Francisco that is a replica of the Petit Trinon, and Pudge and I walk by it all the time. He immediately recognized it and wanted to know why MA copied a house from San Francisco – lol). 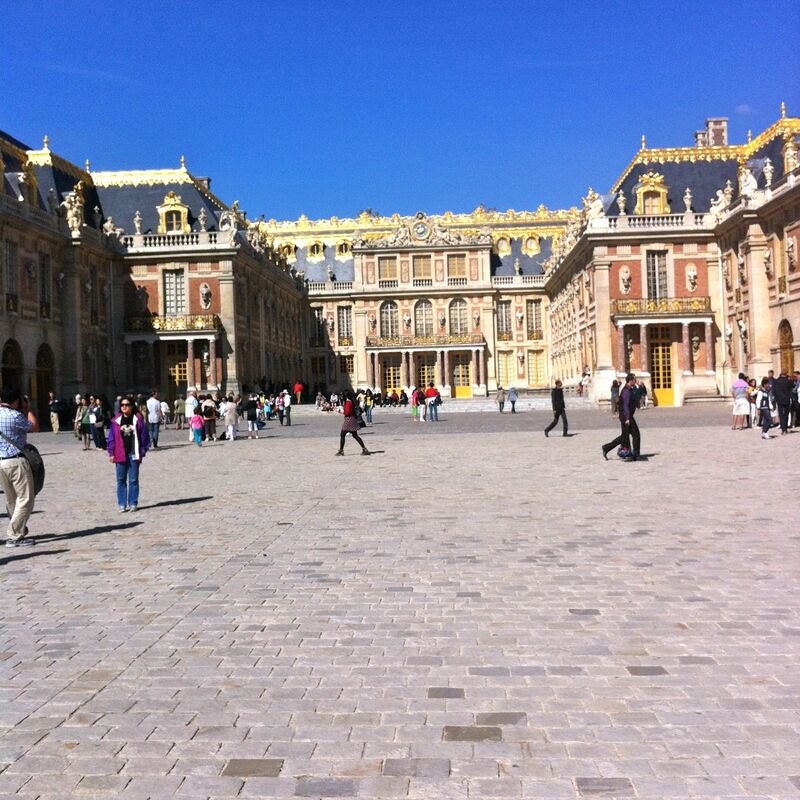 The difference between the formal gardens of Versailles and what MA created just a few miles away at her private retreat is jarring. Having grown up in the relaxed Austrian court, Marie Antoinette wanted her children to have a similar experience and had lavish English-style gardens installed around the Petit Trinon. But she didn’t stop there, she also had a small village with thatched cottages, a menagerie, dairy, ponds, and meandering paths installed nearby. It couldn’t be more different from Versailles stuffy and regimented environment. Pudge in the formal Versailles Garden. On the stairs of one of the thatched cottages. 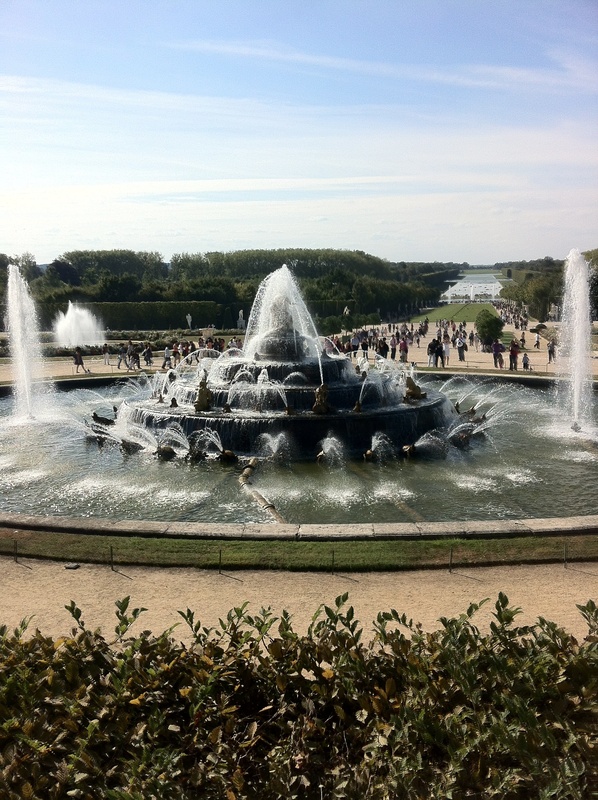 After we finished at the Petit Trinon, we headed back to Versailles for the fountain show. To get around the vast property, you can walk, rent a golf cart, or take a train. We elected to take the train because heels – even stacked heels – are not cobblestone friendly and I lived in constant fear of twisting my ankle. Which begs the question of how the heck did the old courtiers walk around? Their shoes all had heels. It must have take forever to get anywhere. The fountains are only turned on during certain times. By the end of the day, we were all exhausted and still had an hour ride by train back home. 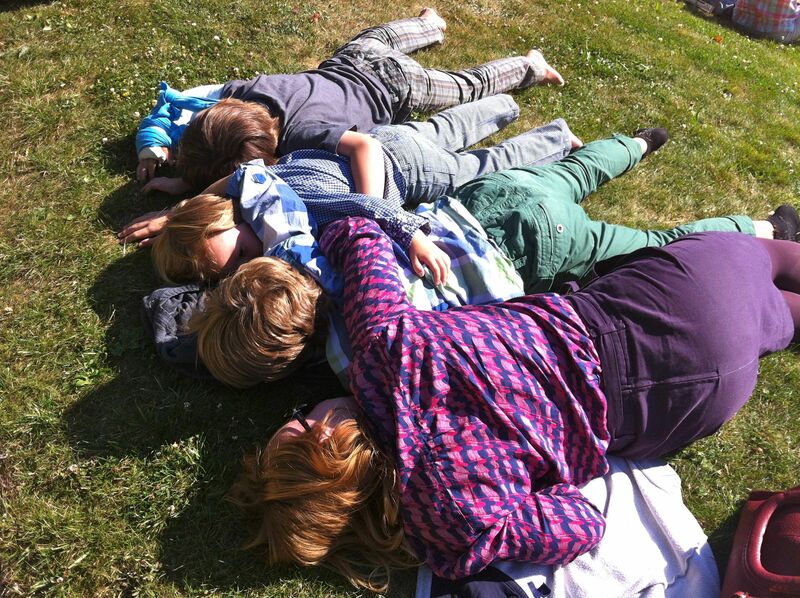 Taking a break on a sunny hill. The birthday boy, Bug, and me. What a cool mom your son has! My wife and I just visited the Hamlet again for the second time, starting with a little picnic on the grass nearby (which may or may not have been legal). I love seeing those cute little farm houses, even if they’re a bit Disney-fied. 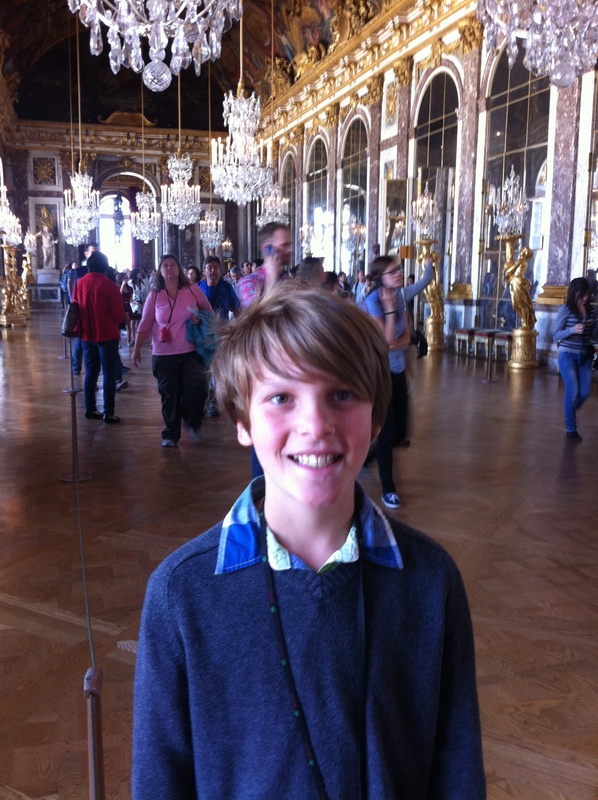 The Petit & Grand Trianon were new for me that day and I enjoyed them as well. And there’s Marie Antoinette’s little theater in the area, which was used in the movie, which is a real treat to peek into. Amazing to think that back then you could dream up any little building you wanted and someone would swoop in to build it!